You can use either polycarbonate or acrylic plastic sheets as glass substitutes for projects, for windows or for lighting. While acrylic and polycarbonate are both clear and readily available at hardware stores, they are completely different materials with different characteristics. Polycarbonate is a polymer plastic produced by reacting phosgene with bisphenyl A and injecting the resulting hot plastic into forms or extruding it through an orifice to form bars or pipes. Common trade names are Lexan and Makrolon. Acrylic plastic is made from the monomer methyl methacrylate in powder or syrup form and is heat-formed into sheets or tubes with a polymerizing catalyst such as peroxide. A common trade name is Lucite. Both polycarbonate and acrylic are stronger and lighter than glass, but both scratch more easily. Of the two, polycarbonate has higher impact resistance and is used in bulletproofing applications. Acrylic is rigid and may chip; polycarbonate can be produced in flexible sheets. Acrylic and polycarbonate are less resistant to solvents than glass; acrylics should be cleaned only with mild soap to avoid etching. You can apply ammonia to polycarbonate, but avoid stronger solvents. You can cut and drill polycarbonate and acrylics with standard equipment, but you need special plastic glue to bond the material together. Since acrylics are rigid, they tend to crack if you drill holes too close to the edge, and you have to heat the sheets to bend them. 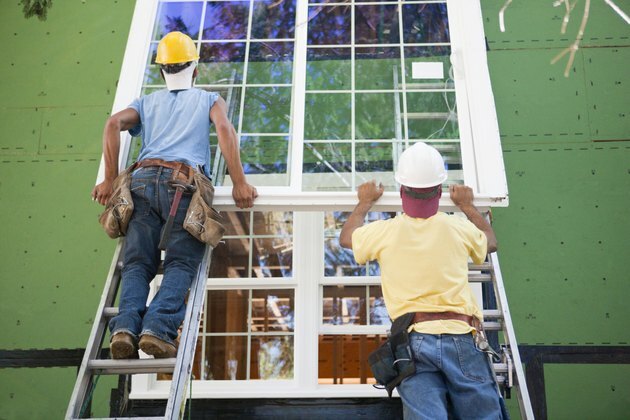 Polycarbonates are less likely to chip and crack, and the sheets can be bent when cold. Both materials are sensitive to heat. Acrylics are stable at temperatures of up to 190 degrees Fahrenheit, and polycarbonates can withstand temperatures of up to 240 degrees Fahrenheit. Polycarbonate plastic is used in applications that require high impact resistance or durability. Polycarbonate is used in racing car windshields, hockey and football player visors, reusable drink bottles and computers. 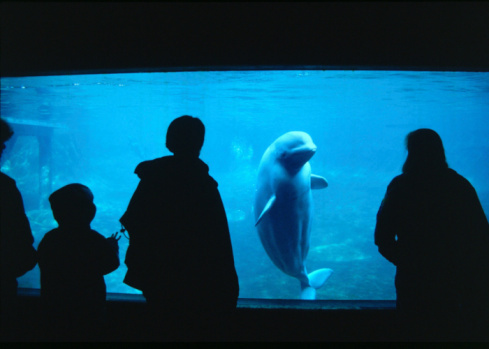 Acrylic plastic is used as rigid glass substitutes such as aquariums, animal enclosures and retail displays. It replaces glass when transparency and rigidity are required, but a lower weight is desirable. Both polycarbonates and acrylics are more flammable than glass. Acrylic plastic burns readily and should not be used in environments that may contain flames. Polycarbonate plastic has a low flammability and may extinguish by itself, even if it catches on fire, though it may sustain damage. For polycarbonates in contact with food, such as in drink bottles, there is some concern that the bisphenyl A or BPA may leach into the food and be absorbed by the body. As of 2014, studies of the magnitude of this effect and the possible risks to health were inconclusive.